Get ready for a groovy, out-of-this-world 3D adventure when Sony Pictures Home Entertainment releases Men in Black 3 as a Blu-ray 3D Combo Pack, Blu-ray/DVD Combo Pack and DVD -- all with UltraViolet -- on November 30th. Earning more than $624 million in box office worldwide, this sci-fi, action-packed comedy will be released for the first time in 3D for the home. 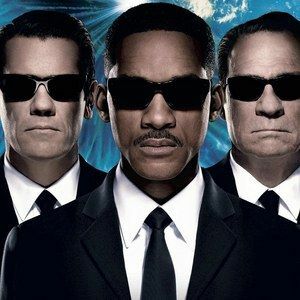 The time-traveling, third installment of the Men in Black franchise reunites two-time Academy Award nominee Will Smith (2007, Best Actor, The Pursuit of Happyness; 2001, Best Actor in a Leading Role, Ali) and Academy Award winner Tommy Lee Jones (1993, Best Supporting Actor, The Fugitive), along with Academy Award nominee Josh Brolin (2009, Best Supporting Actor, Milk), as they travel back in time to 1969 so Agent J (Will Smith) can save Agent K (Tommy Lee Jones) from an alien assassination. Directed by Barry Sonnenfeld and written by Etan Cohen, Men in Black 3 is jam-packed with car chases and monocycle pursuits, as the famous, black-suited duoemploys a brand-new collection of galactic gadgets to fight off retro aliens. The film also features Academy Award winner Emma Thompson (1995, Best Adapted Screenplay, Sense and Sensibility), and Jemaine Clement (Despicable Me). The Blu-ray/DVD Combo Pack is loaded with special features, such as a 'Spot The Alien' game, in which viewers must spot the difference between aliens and humans, using their remote to zap the aliens. It also comes with two featurettes: "The Evolution of Cool: MIB 1960's vs. Today," a look at the differences between the Men in Black headquarters in 1960 vs. today in which the viewers can discover more about the weapons, technology, vehicles and uniforms; and "Keeping It Surreal: The FX of MIB3," a look behind the special effects in the film. Also featured are Scene Investigations featuring deconstructions of the lunar escape, the gun fight at Mr. Wu's, J's time travel, and the monocycle chase. Five progression reels are also included, featuring animation supervisors discussing how the key visual effects sequences were created for the film. The DVD comes with a gag reel, the all-new featurette "Partners In Time: The Making of MIB3," and the "Back in Time" music video by Pitbull. In addition to the 3D version of the film, the Blu-ray 3D Combo Pack exclusively includes two featurettes: "The Case Of Boris the Animal: The 3D Models of MIB 3," allowing viewers to learn all there is to know about the technology and devices of the MIB organization using 3D models; and "Converting to 3D," exploring the Men in Black technology. and Men in Black 3) in collectible packaging plus a "Worm" bobble head figurine. In Men in Black 3, Agents J (Will Smith) and K (Tommy Lee Jones) are back... in time. Agent J has seen some inexplicable things in his 15 years with the Men in Black, but nothing, not even aliens, perplexes him as much as his wry, reticent partner. But when Agent K's life and the fate of the planet are put at stake, Agent J will have to travel back in time to put things right. J discovers that there are secrets to the universe that Agent K never told him - secrets that will reveal themselves as he teams up with the young Agent K (Josh Brolin) to save his partner, the agency and the future of humankind. Men in Black 3 has a run time of approximately 106 minutes and is rated PG-13 for sci-fi action violence and brief suggestive content.